Anand: My name is Anand. I am a final year B.Tech. student from Raghu Engineering College. My goal is to work in an organization where I can learn something new everyday and enhance my skills. Anand: There was a campus drive of Infosys but unfortunately I couldn’t clear the written exam. I was in a dilemma as I was unsure when the next placement would be. 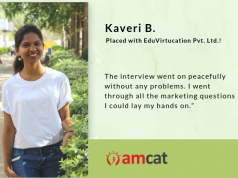 Fortunately, I got to know about AMCAT and it gave me a ray of hope as I got shortlisted for Mindtree. 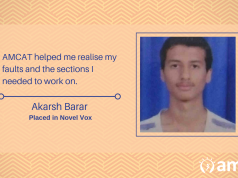 Anand: When I took the AMCAT test, I did my best but was not sure whether I will be shortlisted for any company. Luckily, I received a mail from AMCAT about my selection for Mindtree. 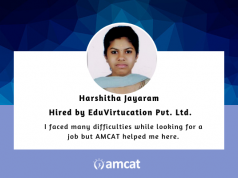 Anand: Yes, because by taking AMCAT test once you can get access to much more job opportunities. Anand: Always work hard as that will help you get more opportunities.